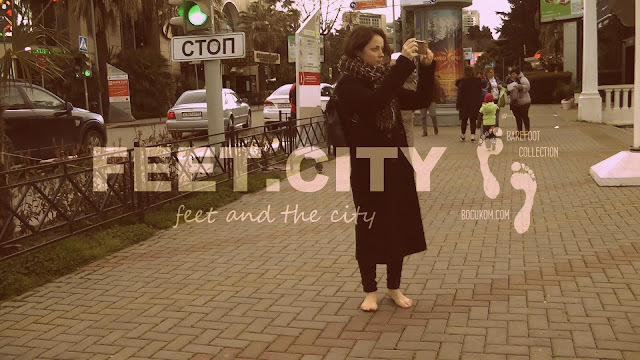 Helga continues her trip barefoot in the winter city of Sochi. Today she went to the cold sea. 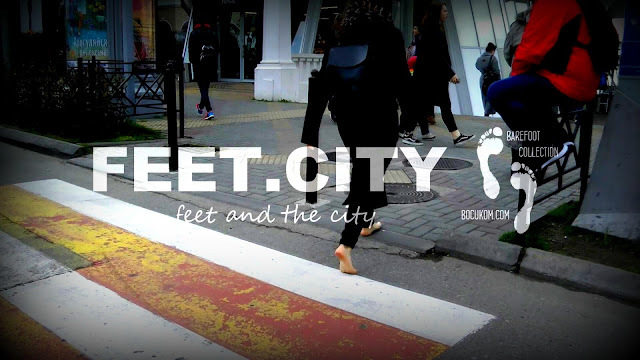 People in warm clothes with a smile and surprise looked at her bare feet. Helga likes to walk barefoot on cold streets and cause delight!..